← Valentine’s: How to Nail the Romantic Look! 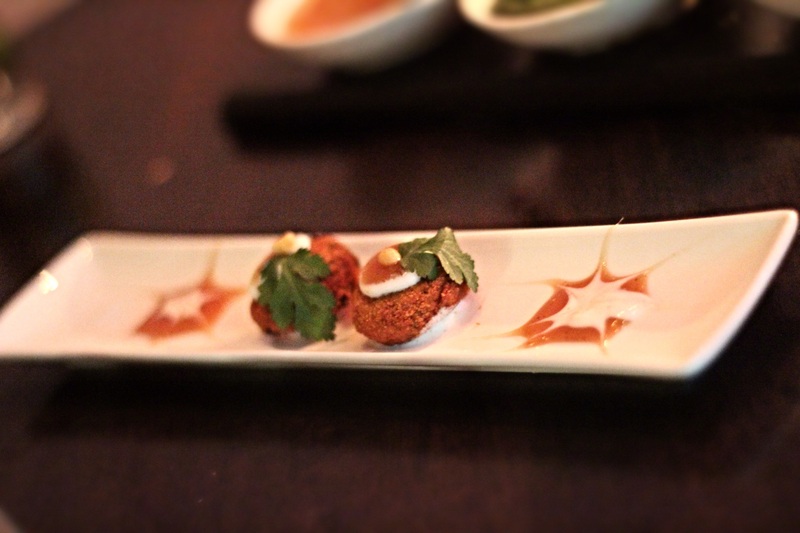 Indian cuisine isn’t one that I opt for regularly, mainly because of the guilt I associate with it. It’s not the lightest of meals and I know I will feel sickly full afterwards. However, when they get it right you can leave feeling satisfied and happy without the heavy after feeling. Situated in Primrose Hill, this small, intimate Indian restaurant provides a comforting feel with low lights and a warm hue. Just look at the guy below he’s having a great time! Though the lighting is warm the decor is modern enough to feel fresh. This was followed by Banwar Panir Shaslik £4.50 which is a kebab of grilled cottage cheese and was creamy but firm and so delicious. It was pretty I probably could have finished the meal there. 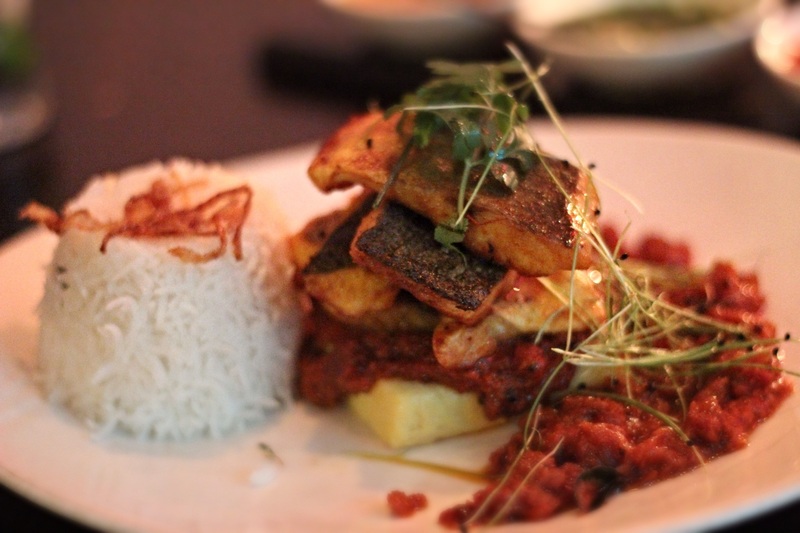 For my main meal I had the Goan Style Sea bass £12.95 (as pictured at the top). This was presented beautifully, this fish was stacked into a neat pile next to the rice pyramid and salsa. The seabass had been cooked beautifully. 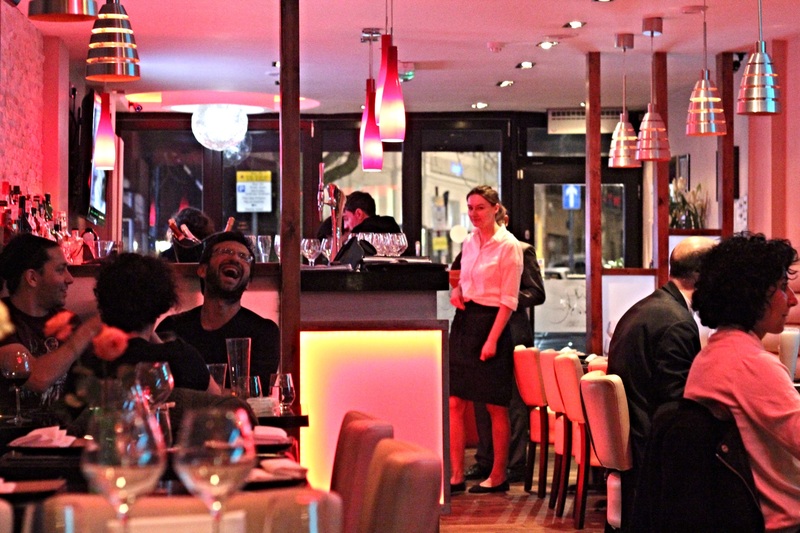 The staff were attentive and so friendly throughout the meal making sure we were comfortable and happy. 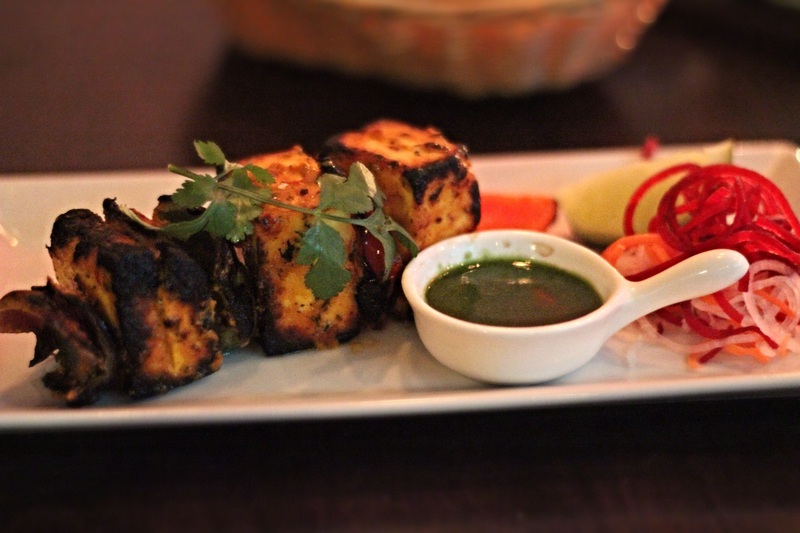 If you are looking for an Indian restaurant that is known for grilled, lighter dishes then pop by Namaaste Kitchen. It’s been forever since I had Indian food but I’m glad you had a great time!